Shopping for a mortgage loan? We'd be thrilled to discuss your mortgage needs! Call us at 602-647-2555. Ready to get started? Apply Now. There's a simple trick to significantly reduce the length of your mortgage and save you thousands in interest: Make extra payments which are applied to your principal. Borrowers pay extra in several ways. For many people,Perhaps the simplest way to keep track is by making one extra payment per year. If you can't afford to pay an additional whole payment in one month, you can split that large amount into 12 smaller payments and pay that additional amount monthly. Finally, you can pay a half payment every two weeks. Each option yields different results, but they will all significantly reduce the duration of your mortgage and lower your total interest paid. It may not be possible for you to pay down your principal every month or even every year. But you should remember that most mortgage contracts will allow additional principal payments at any time. You can take advantage of this provision to pay extra on your principal when you get some extra money. If, for example, you were to receive a surprise windfall five years into your mortgage, paying several thousand dollars into your home's principal will reduce the duration of your loan and save enormously on interest paid over the duration of the mortgage loan. Unless the mortgage loan is very large, even a few thousand dollars applied early in the loan period can yield huge benefits over the duration of the loan. Scott Fenner & The Mortgage Team has your mortgage answers. 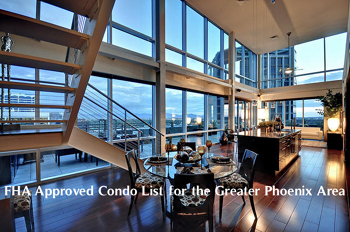 Call us: 602-647-2555.